This is an excellent original production cel and original layout drawing of one of the villains from the "The Impossibles" segment of Frankenstein, Jr. and The Impossibles (1966). The untrimmed cel and layout both measure 10.5" x 12.5". 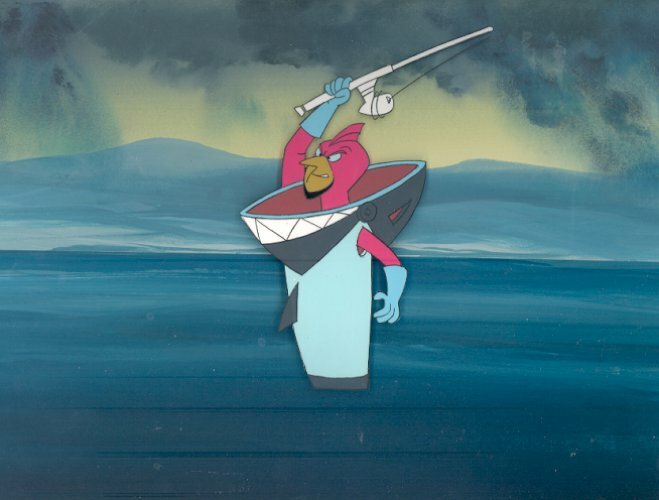 The cel has been placed on a color copy background. 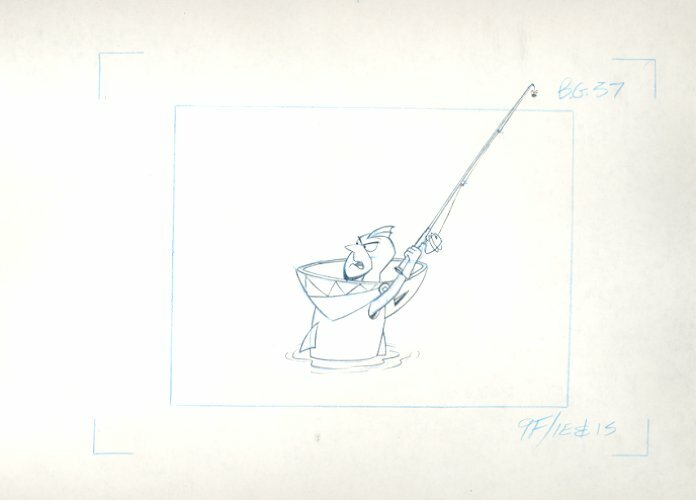 The image on the cel measures 6.5" x 4.5" and the image on the layout measures 5.5" x 4".